Quick System Information with "Uptime"
Home / VPS & Dedicated / Quick System Information with "Uptime"
1. The system time. Sometimes you might find that your server is running in a different time zone than your home/office computer, which is very important to note. 2. How long your system as been running (may web hosting providers promise 99% uptime, so you should often see an accumulation of days rather than just hours). 3. Number of users currently logged in. 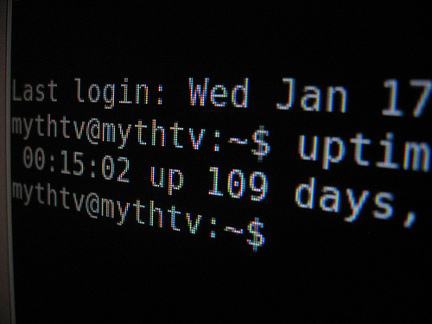 Unless you allow users to login via SSH, there should usually only be one: you. This is a quick way to find out if someone might be gaining illegal access to your server. 4. Load average. These three numbers indicated the amount of stress or load on your CPU. The first number shows the last minute, the second the last 5 minutes, and the third the last 15 minutes. Lower numbers are better, so very high numbers may indicate a problem. With such a simple command, you can find out all of that information and then make decisions about whether you need to investigate further.